When I was in college I was an expert at coming up with a long intro to a paper in order to reach the word limit needed for the assignment. In fact that is why I got a BS as my degree - that is the joke between my husband and me... however, I've been struggling with a way to intro this first post. 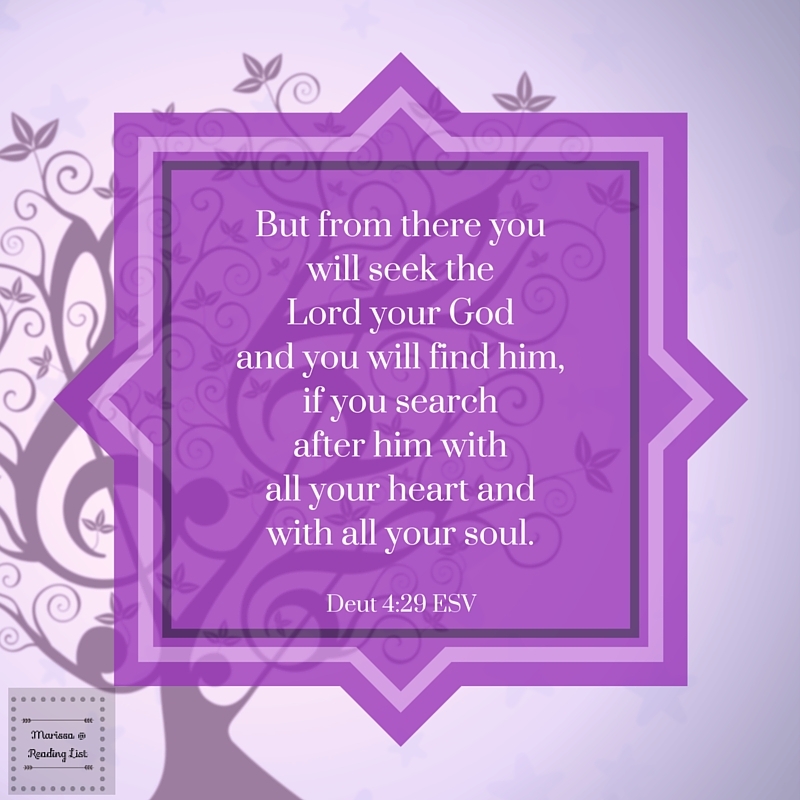 As I mentioned in my God Space series, I am going to start sharing some wondering question reflection posts. And this first one I knew I needed to share the first time I heard this song. And since then the words have left me. So while I jump right in this time, please forgive me. Do you ever listen to the top 40 popular songs on the radio? 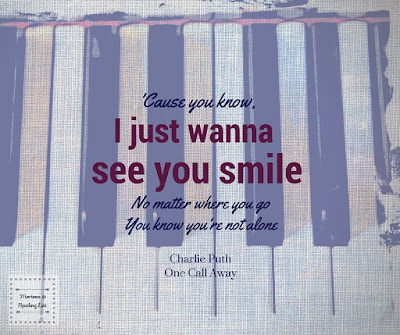 Well if you do, or even if you have been in a store that does, you have probably heard this song from Charlie Puth: One Call Away. Just in case, please hit the play button on this video as you read so we can be on the same page. 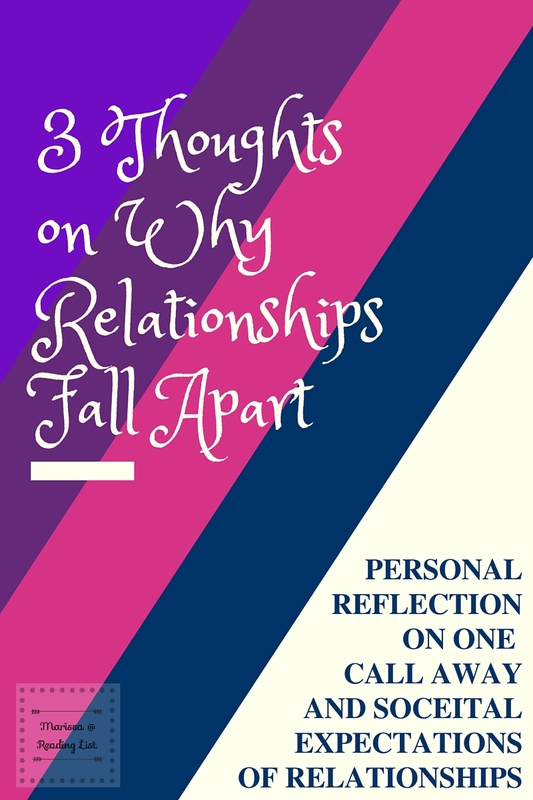 Then a little thought crawled into my heart - "This is why so many relationships fall apart." I was in the car and felt like I got punched in the gut. Why would such a thought enter my mind? The very first line that caught my pondering mind is in the first few seconds (in this video it's at 0:57) - " Call me, baby, if you need a friend, I just wanna give you love". Fairly calm, shouldn't really stand out right? Well, this statement, as a friend he just wants to give her love (not even physical intimacy here... or maybe... but let's keep it platonic) sets up so many relationships on bad footing. You see when a guy starts to show affection towards a girl, it can start as brotherly love or "phileo" love. However, it quickly moves into a more romantic love ("eros" love) because of the hormones God has blessed us with. The goal is for the man and the woman to grow closer and get married, to grow the phileo love and eros love and work towards agape love (which is the love the Spirit will bless those who have accepted Jesus into their hearts). But let's be honest, that is not really the way relationships go anymore. Instead of walking the path of growing a relationship mentally, emotionally and physically knowing that the end goal is marriage, or nothing, more and more people are just running headlong into the pleasure of physical love. Our expectations of this kind of friendship (friends with benefits) start to blur the lines of friendship, and the intimacy of a marriage relationship. So just needing a friend to give her love is setting up for disappointment. "no matter where you go, you know you are not alone..."
Alright - adorable for a new boyfriend to say to a girlfriend - even more, lovely to hear your spouse say it. But life is hard. Life is different for each person, no matter how much you do as at team. There will be times when you experience something on your own. Another minor point that grabbed me has to do with our need for someone to always be there for us. 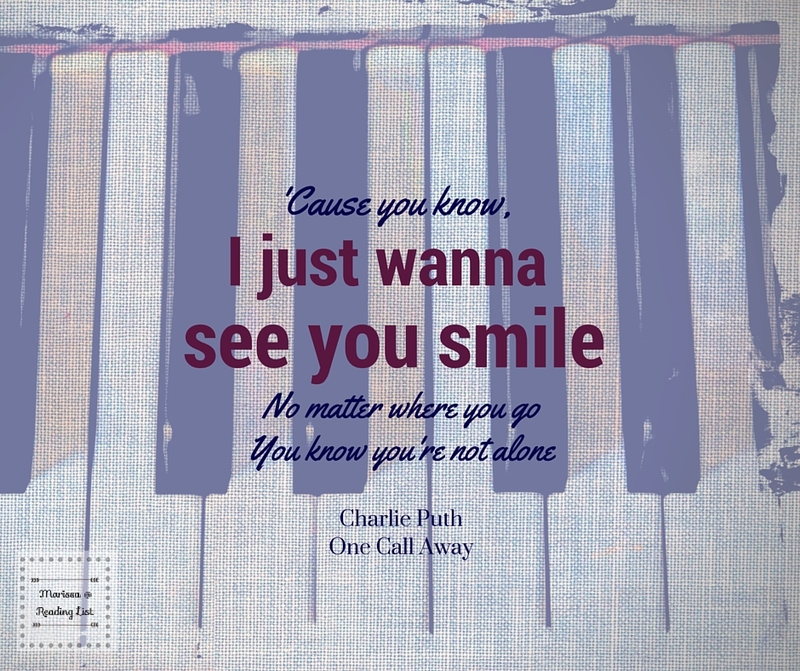 It is so easy to put the person you love most in a place where they almost need to be at your beck and call. We start to rely on them in a way that no person can really live up to - especially in the hard times. Do not hear my wrong - you should be your spouse's first support person - but God knew we, as people, could not be everything to another person - that is why we need Him. We need to make sure that we keep our spouse (or boyfriend/fiance) in the proper place. "And when you're weak I'll be strong..."
If you are married - a strong, healthy Christian marriage, this verse probably wouldn't stand out to you at all. I mean this is what a spouse is supposed to do. But why? Why do most husbands say this in some way to their wives? What will happen when that person cannot live up to our expectation of strength? God intended marriage to be between a man and a woman and blessed (continually) through Him. In marriage, we realize that we are forming a union where God blesses the husband and wife, and the two work together to grow in relationship with God. If we are in relationships where God is not that source of strength, then it is only a matter of time until one or the other person doesn't live up to the expectations of eros love, or even phileo love, and the whole thing crumbles. But when the fruit of the Spirit love starts to grow in a married couple (which could begin to bloom before vows... maybe another topic?) that agape love allows such statements to stand because they are built on the promises of God. There were a few other little things... but the breakdown is this - in your love relationship (hopefully with your spouse...) how much expectation have you put on him? Yes, he can be the person you run to for a hug, as your sounding board, your friend. 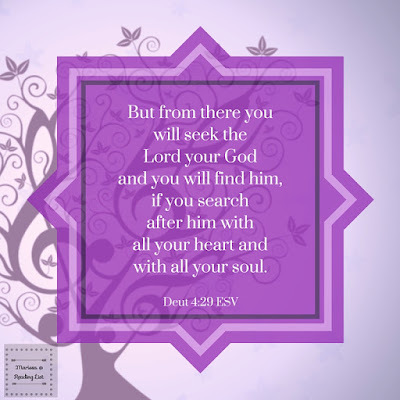 But if you are running to him instead of running to your Lord, then you are setting yourself, and your relationship up for some seriously rocky terrain. On the flip side, if you are walking towards the Lord with your husband - growing in a personal relationship with each other and with God then this is the kind of song that could melt your heart in a good way. Have you heard this song before? Do you like it? Why? Why not? Do you have any wondering questions after listening to it? ~~ Want some more eloquent words on why marriage is more than just the feelings in this song? check out this great article from Focus on the Family or read Sacred Marriage by Gary Thomas** or see what the Bible says about marriage. Because I am not pretending for one moment that I am an expert on marriage.